School building facilities and environmental concerns have a long and often troubling history. 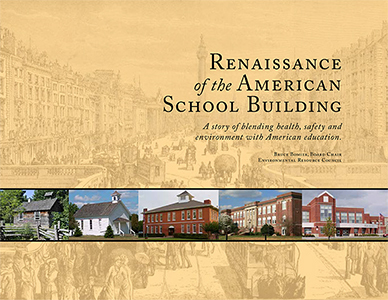 This booklet describes how school facilities addressed environmental concerns involving the health and safety throughout American history. The enlightened school building facility management demonstrated by early school building in the United States was remarkable for its sensitivity to the surrounding environment and commitment to student health, safety, and comfort. While many of the styles and approaches to assuring a quality environment in the school building were lost in the post-World War II period of mass low cost construction, they are being rediscovered and carefully reintegrated along with new technologies into the American school building. Understanding the history of environment in schools will help guide school facility leaders as we re-create wholesome environments in schools for American students.